Connecticut ranks as one of the healthiest states in the United States, which isn’t surprising when you think of its massive number of great outdoor activities and road races that welcome the whole family. Here are 11 great road races across Connecticut, so lace up your sneakers and get ready to hit the road. The Faxon Law New Haven Road Race takes place on Labor Day every year. Winners of certain races are eligible to win cash prizes. Races include a children’s fun run, 20K, half marathon, and a 5K. Along the course there are over 10 bands and DJs, and numerous crowds cheering on runners, especially along the New Haven Green. The bands and crowds make this race an exciting one, so do be sure to register early! Look out for the Harvard Pilgrim Middletown race come springtime each year, which is sponsored by Harvard Pilgrim Health Care. This race seeks to raise food for the Amazing Grace Food Pantry, so runners and crowds alike are asked to bring non-perishable food items. The course starts on Main Street and distances include a half marathon and four-mile race. CT Fastrak 15K is a race for individual runners looking to tackle the whole distance themselves or those who’d like to split the race into a relay. The race starts and finishes in two different locations—it begins in New Britain and ends in downtown Hartford. The course is mostly downhill so this is a great one if you’d like to ease yourself into running longer distances. Coming up on Dec. 10, head to McCook Point Beach and Park for a festive 5K. Proceeds from this race support the Brian T. Dagle Memorial Foundation, Inc., which seeks to help those who are grieving receive the necessary support. The run starts and ends at McCook Point Beach and goes through the scenic (and hilly) Niantic beach neighborhoods. Be sure to register online before the race begins. This race, which has been has been an annual event for over 10 years now, is a run/walk that is exclusive to women and girls. This is an all ages and abilities race to encourage, promote, and celebrate women’s fitness. This 5K route starts and finishes in the Elizabeth Park Rose Garden and conveniently takes place while the roses are in full bloom. So, you’ll enjoy a run and a view of the beautiful rose garden! The Pequot Running Club’s website describe their group as “fitness-conscious runners of all ages and abilities.” The club was created in 1978, when a group of runners would meet several days a week. This club later created the Thanksgiving Day 5 Mile Road Race. This has become a tradition around the holidays among Connecticut folk, and you won’t want to miss it! Several thousand runners participate each year, traversing the hills of scenic Southport, Connecticut, all the way down to Long Island Sound. Each November, Norwich holds its annual Norwich Winterfest 5K, which benefits mental health diagnoses for Reliance Health, Inc. In addition to races, other activities include face painting, massages, and a parade that begins at 1 p.m. This run is open to all fitness levels and walking is allowed. Cash prizes are available for the top finishers in each category. On St. Patrick’s Day weekend each March, visit the beautiful town of Mystic for its annual Mystic Irish 5K. Show your Irish pride by wearing green and staying for the parade that takes place on Sunday—race winners are even meant to walk in the parade! The course goes through downtown Mystic and along the beautiful River Road, making this a very scenic run. The Manchester Road Race is an annual event that is a favorite for many Connecticut residents. The course is 4.748 miles long and starts and finishes on Main Street. In addition to the adult race, there is a Little Manchester Road Race for very young children. Keep in mind that pets, strollers, and headphones are not allowed in the race. 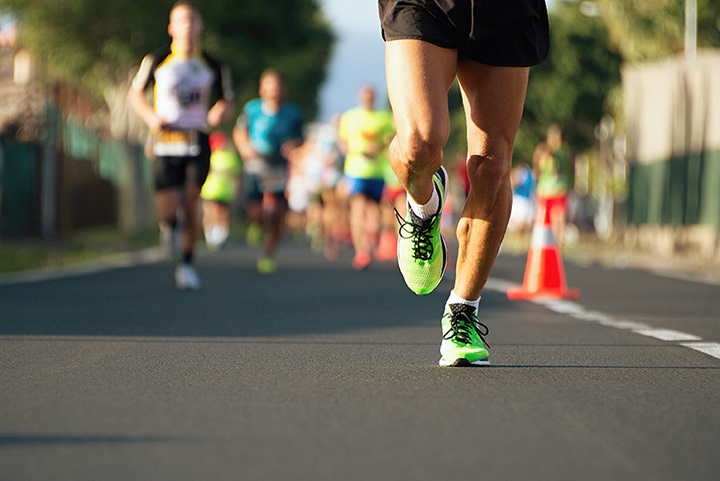 Featuring a 3.5-mile run, a 1.8-mile walk and a more relaxed fun run for the kids, the Donnelly Dash is a fantastic fundraising event in Fairfield, Connecticut. This racing event is dedicated to the Donnelly family, who lost Tim and Kim over a decade ago. The site writes, “We hope you will join us in remembering the spirit, love and support they gave to so many in our town.” Proceeds benefit local charities such as Greater Bridgeport Youth Orchestra, Groundwork of Bridgeport, the Fairfield Police Explorers and Fairfield Police Scholarship Fund. After the race, enjoy delicious Irish food and free beer if you are over 21 years-old. Of the road races included in this list, you’ll find something for everyone in the family including a women-only race, fun-runs, and marathons! So, sign up early to secure your spot in one of these 11 road races that take place across the State of Connecticut. What is your favorite race in Connecticut? View more Connecticut Road Races.